Under the Jean Monnet Project, the European Commission supports university initiatives aimed at creating teaching activities on the issue of European integration. Launched in 1990 the Jean Monnet Project’s focus is on Law, Economics, Political Science and History. Based at the Jean Monnet Center at NYU School of Law and acting as a common online access-point for researchers worldwide, this website is actually a collection of several databases, including teaching materials in European Law and Institutions, the Law of Regional Economic Integration in the American Hemisphere, the Law of World Trade, the World Wide European Integration Events Calendar, and the European Integration Current Contents pages. 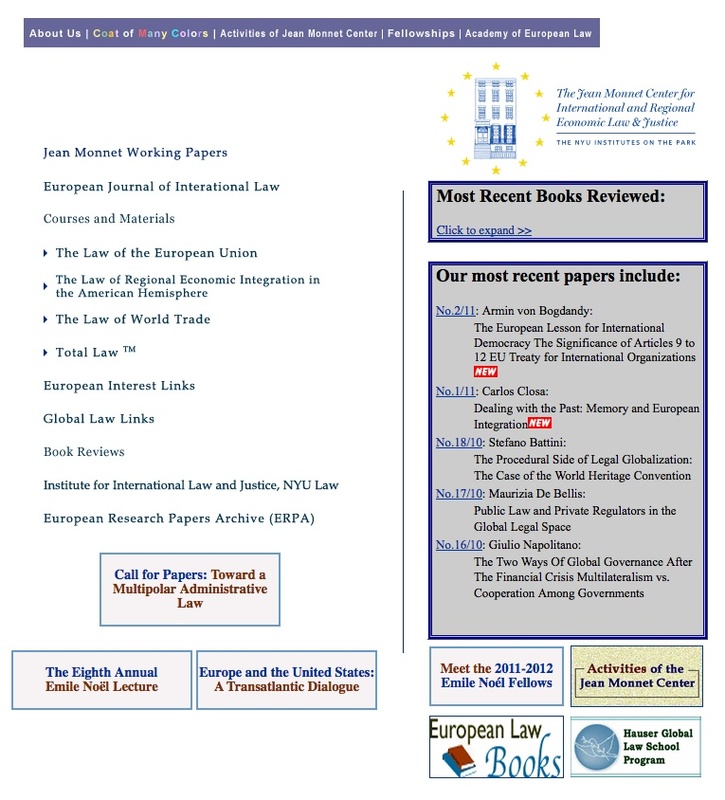 The European Journal of International Law and the European Foreign Policy Bulletin online are also part of the Academy of European Law online. Working papers in their full-text format, dating back to 1995, are available free of charge, as well as teaching materials and a great selection of links to external resources. Fully retrievable book reviews, papers and journals sum up a large collection of relevant material (published in 9 languages and 14 countries) for the study of European integration and related issues. An effective structure (by categories and sections) enables an easy navigation, with a useful sitemap but no search option provided.